The near panic mode among Democrats regarding Republicans taking over US Senate control in the upcoming general elections as predicted by nearly all analysts and political observers is understandable but it’s a panic without any valid basis everything considered. Those most panicked about this predicted Republican control of the Senate fear Obama and his agenda will be doomed for the remainder of his presidency were Republicans to take control of the Senate because both houses will therefore be under Republican control as Republicans are also predicted to maintain a majority and therefore control of the House as well. The truth is it’ll make no difference whether Republicans wrestle control of the Senate from Democrats or not because Obama will accomplish no more or less legislatively than he has with a divided Congress, given how the US government is structured not to say anything about its history. Put another way, Republicans will be no more effective or successful in blocking Obama’s agenda for that matter than they have thus far by merely controlling the House. This is because under the US constitution, proposed legislation can only become law if it’s passed by both houses and having the president sign it into law or if he doesn’t, by operation of law or overriding his veto, if he’s opposed to the legislation and actually vetoes the legislation. When Republicans were unable to stop the tsunami that was the 2008 Obama presidential campaign that catapulted him straight into the White House, the badly beaten party’s leaders swore to do everything to stop or at least thwart Obama’s ambitious but progressive agenda to bring the country back from the brink of total destruction where his predecessor had taken and left her. However, the Republicans knew they were all talk at the time as there was nothing they could do to stop or thwart Obama’s agenda, given he Democrats controlled both houses. As a result, Obama was quickly and urgently able to have legislation enacted to prevent the country from further sliding into its worst depression owing to his predecessor’s policies. This law, known as the American Recovery and Reinvestment Act or the “stimulus package” as it’s popularly known passed both houses of Congress with only three Republican voting for it. Even the worst of Obama critics and haters who know anything about economics would privately admit this was a significant law Obama had enacted that did exactly what it was intended to do and that’s stop further job loss, then estimated at 800,000 a month by creating incentives for job creation, which actually happened and we now have an economy creating more than an average of 200,000 jobs a month, a rate not seen since before 1997 technology boom era. President Obama then had a number of other significant legislation enacted into law covering a range of policies such as the TARP law that saved the US auto industry from total collapse, to others addressing issues near and dear to Middle Class America such as Wall Street reform and consumer protection law aimed at taming corporate greed to even perhaps the most significant law Obama will forever be known for and that’s the Affordable Care Act, or Obamacare, a law all Democratic and a few Republican presidents before him had tried but failed to enact. All this happened in the first two years of Obama’s presidency. Beginning 2011, when Republicans with the help of the mostly racist “Tea Party” so-called movement took over house control from the Democrats, President Obama has simply been unable to have any major legislation passed in Congress. This is because any legislation the president through his allies in Congress proposes is dead on arrival in as far as the House GOP leadership is concerned. These tea party controlled Republican leaders are so whipped and in fear of these band of irrational and reckless partisan zealots they are practically willing to throw the country to the dogs than give Obama any legislative victory. This is primarily the reason why it’s irrelevant whether Democrats maintain control of the Senate or the Republicans take over which means instead of having only the House blocking Obama’s legislative agenda, we’ll now have both the House and Senate doing so, which is redundant in as far as effect is concerned. The only difference or effect Senate control may make or have during Obama’s presidency is if any of the aging Supreme Court justices decides to retire and Obama has to pick a replacement before he leaves office. Several factors mitigate against the potential Supreme Court nomination process being as futile or even impossible as far as the president’s chances are concerned if Republicans gain control of the Senate chief among these are the Senate’s own rules. In particular, we’re talking about the filibuster rule. Even though both Democrats and Republicans have repeatedly warned about launching the so-called “nuclear option,” a rule change that will do away with the filibuster privilege that essentially makes passage of certain legislation or approval of nominees required under the law possible only with the support of a super-majority, neither party has actually ever implemented this nuclear option. Democrats, however, frustrated by Republicans abuse of the filibuster rule to prevent Obama from making judicial appointments, launched a mini-nuclear option by doing away with the filibuster rule in all but US Supreme Court nominations. What this means is if Republicans gain control of the Senate, President Obama’s Supreme Court nominee, if any, will require 60 votes to be confirmed, that’s there must be the required 60 votes to end debate (filibuster) followed by a simple majority to approve the nominee. This is practically the same situation it would be were that vote to take place today with Senate control in the hands of Democrats and thus the reason who controls the Senate would not and could not be a controlling factor as to who or whether Obama succeeds in nominating someone to the US Supreme Court should a vacancy occur during his remaining term in office. It’ll obviously be much easier for Obama to nominate and have someone approved now when Democrats are in control but that doesn’t mean the president couldn’t find and nominate someone who can command a majority of the senate votes and have enough support from across the isle to beat a filibuster on the way to confirmation. Besides judicial confirmation, there are those who make the case the prospect of impeaching Obama would increase significantly were Republicans to take control of the Senate. Those holding this view are also mistaken. It’s true the Republican party is not without an abundance of morons who having failed to convince anyone other than like-minded fellow lunatics that Obama is a Kenyan, a communist and Muslim, these morons and lunatics would want nothing short of impeaching Obama to quench their thirst for seeing Obama fail as one of them declared the moment Obama was sworn in as president. However, even the usually whipped and trembling Republican leaders in Congress at the mention of tea party know there’s no basis to impeach Obama and doing so would only dig deeper the Republican party grave they’re busy digging in as far as presidential politics is concerned with their unrepentant pursuit of rejected policies a majority of the voting public know are no good for the country. Prospects for impeaching Obama therefore won’t be any greater with the Senate control going to Republicans, if it does and let me go on record here to say I am with the lone pundits with outlier polls analysis showing Democrats will maintain control of the Senate. In sum, if you’re an Obama supporter or Democrat worrying about Democrats losing control of the Senate, worry no more as that would make no difference. What will make a difference is who Americans will elect as president come 2017 and outlook of Congress then. For now, we’ll limp along with an Obama presidency and any legislative victory (read immigration) Obama might pry from this tea party driven Republican congress. Beyond that, we can expect the president to do more or less the same he has been doing on his own to make sure as much of his vision and policies become a reality for the benefit of all. Indeed, the president has already done a lot without this do nothing Republicans via executive orders for which they’re suing him over but everyone who follows these things closely knows that suit is a waste of taxpayer money and will go nowhere near where Obama haters wish and hope. In the end, and to the chagrin of his critics and haters, Obama would have proven and history will mark him in the least as one of America’s best presidents and most effective under the most difficult of circumstances no other president has ever faced. How Obama will rank in greatness is also a function of time and history but many president’s will kill for a ranking simply among the best presidents and that, his haters and destructors like or not, Obama has already earned. The question is, who will succeed him. First, Obama must make sure he does everything he can to keep the traditional Democratic base energized enough to go to the polls come this November in efforts to at least keep senate control in the hands of Democrats, which this writer believes is still possible despite overwhelming views and analysis by pundits saying the opposite. Second, regardless of the outcome in November, Obama must lay the ground for his successor of choice to smoothly assume the helm of the Democratic party and by that is meant Obama must make sure the Democratic party chooses his successor as party leader and flag-bearer in a manner that’s the least disruptive to party unity. If that means the coronation of Hillary Clinton, so be it. Third, money. It’s obvious having a tone of money can’t buy one’s way to White House ask Obama’s 2012 opponent Mitt Romney if you have any doubts but it’s also true no one would ever see the inside of White House as president without it so, given Republicans will continue to block Obama and his legislative agenda whether they control the Senate or not, Obama should simply do what he can as suggested above to implement as much of his vision as possible but also fund-raise like crazy to beef-up the Democratic party till between now and the day he leaves office. After all, who else has Air Force One and clout to do that than he? Once he does that, his successor as flag-bearer for the Democratic party will cruise to the White House but that doesn’t mean they don’t have their own work cut-out for them. President Obama in August will welcome leaders from across the African continent to the Nation’s Capital for a three-day U.S.-Africa Leaders Summit, the first such event of its kind. This Summit, the largest event any U.S. President has held with African heads of state and government, will build on the President’s trip to Africa in the summer of 2013 and it will strengthen ties between the United States and one of the world’s most dynamic and fastest growing regions. Specifically, the August 4-6 Summit will advance the Administration’s focus on trade and investment in Africa and highlight America’s commitment to Africa’s security, its democratic development, and its people–The White House. I’ll be attending the Summit and will give periodic updates via my Twitter handle @Omwenga. If you wish to see those updates, then do the necessary to follow me. Meanwhile, the following is a transcript of a conference call that was held yesterday covering a number of pertinent issues related to the Summit. **Please see below for a clarification marked with an asterisk. MS. MEEHAN: Hi, everybody. This is Bernadette at the National Security Council. Thanks for joining us today for this press call on the U.S.-Africa Leaders Summit taking place next week. We have with us today three senior administration officials who I’ll introduce in just a moment. I do want to announce a change to the ground rules for this call. It was advertised as background, but we will conduct this call on the record. So you should feel free to quote each of the administration officials by name. And again, this will be on the record. Our three senior administration officials are: Ben Rhodes, the Deputy National Security Advisor for Strategic Communications; Assistant Secretary of State for African Affairs Linda Thomas-Greenfield; and Senior Director for Development and Democracy at the National Security Council Gayle Smith. And with that, I will turn it over to Ben Rhodes. MR. RHODES: Great. Thanks, everybody, for getting on the call. I’ll just give an overview of the summit and the schedule for the summit, and then Linda and Gayle can make some additional comments. And then we’ll take of your questions. First of all, the U.S.-Africa Leaders Summit is truly an historic opportunity for the United States to strengthen our ties with the African continent and to underscore America’s commitment to investing in Africa’s development and future peace, prosperity and security. This is by far the largest engagement by any American President with Africa. It will include nearly 50 African leaders, as well as the participation of a range of U.S. and African civil society and business leaders, young African leaders, and members of Congress. We’ve just concluded a very successful three days with 500 Mandela Washington Fellows from our Young African Leaders Initiative. The President, the First Lady, Susan Rice and other senior officials, including Secretary Kerry, were able to engage with those young leaders and also to hear their views about what the agenda is for the United States and Africa. We chose to do this summit to send a very clear signal that we are elevating our engagement with Africa. We see enormous opportunities in Africa as it continues to advance its own economic development and continues to develop its capabilities as African countries continue to develop their capabilities as security partners of the United States and as democratic partners of the United States. The theme of the summit is “Investing in the Next Generation.” And I think that’s a symbol of the forward-looking and future-oriented nature of our engagement with Africa. One of the things that we thought about as we prepared the summit is what does the United States uniquely bring to the table in its partnership with African countries. Other nations hold summits with African leaders. We very much wanted this summit to be focused on the distinct and unique attributes of the U.S.-African partnership. And what we believe is unique about the American contribution is our focus on African capacity-building and integrating Africa into the global economy and security order. What the United States has done in all of our signature development programs — on food and power and health –- is not just provide assistance to Africa but build African capacity so that public health sectors are empowered to meet challenges on the continent; so that through our Power Africa initiative we are bringing electricity to the continent in a way that will foster development and integration with the global economy; and through our food security initiative we are building the capacity of the agricultural sector within Africa to feed populations and also to foster economic growth. Now, these initiatives are making substantial progress. Power Africa aims to double access to electricity on the continent. Our food security efforts are combating famine and promoting sustainable agriculture. Our global AIDS efforts are dramatically reducing –- or our global health efforts, I should say, are dramatically reducing deaths from preventable diseases and have enabled the promise of an AIDS-free generation. We also are very focused on trade and investment. And the summit will include a U.S.-Africa Business Forum that is dedicated to that purpose. This is an important interest to the United States. Africa has six of the 10 fastest-growing economies in the world, and insofar as we can promote trade and investment, that is going to create new markets for our goods; that’s going to create win-win outcomes that advance prosperity in both the United States and Africa, and ultimately create jobs in both the United States and Africa. So this is about seizing the opportunity of African growth and development in our mutual interests. At the same time, there remains a significant amount of security challenges on the continent, and so we’ll be talking about how we can work to build African capacity to counter transnational threats like terrorism, but also to support African peace and security operations in different parts of the continent. And of course, we’re committed to supporting strong democratic institutions in Africa as well as the next generation of African leaders. And so we’ll be able to discuss efforts to promote open and accountable governance and respect for human rights in Africa, which, of course, continue to be an abiding interest for the United States. So with that, let me go through the schedule and make a few comments on why we structured the summit as we have. First of all, tomorrow, there will be an event called Faith Works that will honor the contributions of the faith community to the U.S.-African relationship. As many of you know, many different religious and non-governmental organizations support development on the African continent, and tomorrow USAID will play a lead role in convening many of those faith leaders to not just pay tribute to their work, but to draw from that experience as we roll into the summit next week. Then, on Monday, there’s a series of events that get at different aspects of our agenda with Africa. There’s a Civil Society Forum at the National Academy of Sciences on Monday morning, where we’ll discuss our efforts to support civil society in Africa — both the very positive role that civil society plays in consolidating democratic progress, but also efforts to combat closing space for civil society in certain parts of the continent as well. Then there will be an all-day African Growth and Opportunity Act Forum hosted at the World Bank. AGOA has been a critical piece of our trade relationship with Africa for the last decade. It is up for reauthorization next year. The President has made very clear that we’re committed to renewal of AGOA. We want to do what we can to work with Congress and with African countries to build on the progress of the last several years, but also to improve AGOA. And so this will be an all-day opportunity for trade ministers to discuss our priorities as we work toward the reauthorization of AGOA going forward. Then there will be several events focused on different parts of our agenda, including investing in women and peace — investing in women for peace and prosperity, given our focus on supporting gender equality in Africa, and the fundamental notion that the President spoke about to the Young African Leaders that the empowerment of women is good for all of our priorities on Africa. There will be an event on investing in health. And the global health program that we have continues to be our largest development program in Africa. That builds not just on the success of PEPFAR, but on what we’ve done to combat preventable deaths and to reduce instances of diseases like malaria that are preventable, but also to build the capacity of African public health sectors. There will be an event on resilience and food security in a changing climate. And we have done a significant amount under this administration to ensure that as we pursue development programs we are factoring in climate resilience. And a key part of our international climate agenda is supporting developing countries as they aim to skip the dirtier phases of development so that the world can meet ambitious emissions reductions targets. There will be an event on combatting wildlife trafficking. And the administration recently released a landmark strategy on working with Africans to combat the scourge of wildlife trafficking, which denies a critical natural resource of the world but also a critical tourism resource within Africa. Then, there will also be a congressional reception for the African leaders on Monday evening. 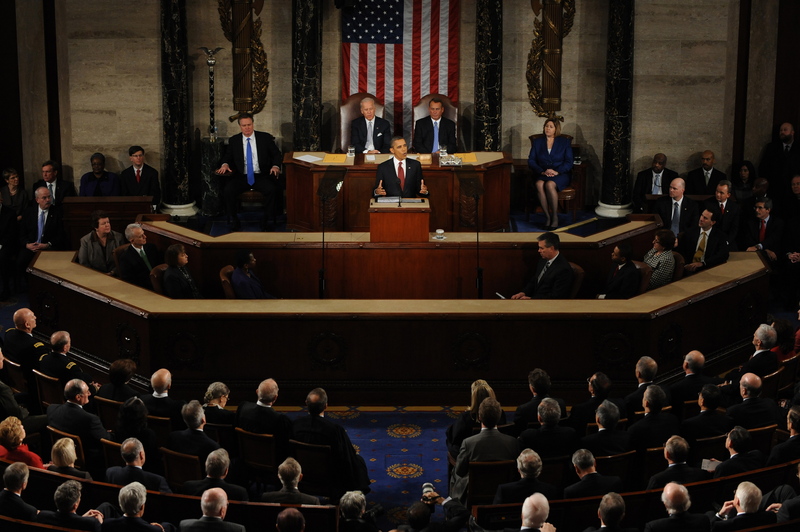 Congress has played an enormous role on a bipartisan basis in supporting Africa policy. It is important to note that in an environment in Washington where there’s not a lot of bipartisan agreement, Africa has been a true exception. When you look at programs like PEPFAR, when you look at bipartisan support for Power Africa through the Electrify Africa bills that are making their way through Congress, and when you just look broadly at the support on the Hill for peacekeeping operations and development initiatives, we want to make sure members of Congress are fully integrated into the summit, and the reception will be an important part of that. Then, Tuesday is the U.S.-Africa Business Forum that Bloomberg Bloomberg Philanthropies* is co-hosting with the Department of Commerce. And throughout the day there will be several panel discussions. One is focused on expanding opportunities for business to invest in Africa. Another on opening markets, so that we can help finance the Africa of tomorrow. Another on Power Africa and leading developments in infrastructure. And then one on shaping the future of a fast-growing continent. Just to step back here, part of what the United States brings to the table in Africa is not simply our governmental resources, but the huge demand in Africa for trade and investment and partnership with American businesses. And that leads to commercial deals that have a specific benefit both for the United States and for the African countries that are partners in those fields, but also to the broader trade and investment environment that we’re seeking to foster so that African growth creates broader prosperity on the continent but also new markets for U.S. businesses. President Obama will then close the U.S.-Africa Business Forum by making remarks and then answering some questions about our agenda as it relates to trade and investment. Then, that night, Tuesday night, the President and Mrs. Obama will host here at the White House a dinner with all of the African leaders to pay tribute to this historic event. On Wednesday, the summit sessions themselves will take place at the State Department. The first session is on investing in Africa’s future. The second session is on peace and regional stability. And then the third session is on governing for the next generation. And these three different sessions will allow us to build on the discussions of the previous two days to focus on issues like how we’re supporting development on areas like food, health and power that have been priorities for us, but also the continued growth and economic development of Africa; on regional peace and security, what we’re doing as a partner to facilitate African solutions to peacekeeping challenging; what we’re doing to consolidate democratic progress in Africa and strengthen democratic institutions around issues like the rule of law; and, of course, what we’re doing to support the next generation of African leaders — something that is so demonstrated by our Young African Leaders Initiative. The President will then, at the conclusion of the summit, have a press conference. I’d also note that the First Lady will be hosting a spousal program along with Laura Bush, on Wednesday, where she’ll focus on a number of issues, including her commitment to girls’ education and the empowerment of women in Africa. So we’re very excited about this opportunity. We believe it can be a game-changer in the U.S.-Africa relationship, that it will advance our work on all the areas that the U.S. is focused on, from the food, power and health development agenda; to the trade and investment partnerships we’re building; to the peace and security initiatives that we have across the continent; to the strengthening and consolidation of democratic progress. We engage Africa and African countries as equals, and that’s the spirit in which the President will receive the leaders. With that, Linda, why don’t you provide some perspective from State, and then Gayle can close us out before questions. MS. THOMAS-GREENFIELD: Okay. I’ll be brief. But what I’d like to talk about is the engagement that we’ve had with African governments on putting together this fantastic agenda. We started engaging about eight months ago, working with ambassadors here in Washington as well as going out through our ambassadors to various posts to confer with governments about the agenda. Also, in all of our official travel to the continent, we talked about those areas that countries were interested in seeing on the agenda. Gayle Smith, Grant Harris and I were in Malabo, Equatorial Guinea in late June and we met with a record 30 African delegations where, again, we went through the agenda for the summit, heard from them additional ideas that they wanted us to take into account in the agenda. And I can tell you that everyone was excited. They were — the response was enthusiastic. And I think that we have come up with an agenda that is going to provide for a very productive meeting. I also want to note — Ben didn’t mention that we have about 80 unofficial side events that have developed as a result of the summit. The summit has really galvanized the African community around Washington. And the NGO community, the local universities, think tanks, business organizations have all put together an interesting set of side meetings that I think will keep everyone in Washington busy for the entire week — that the heads of state and other members of the delegation will be during the time they will be here in Washington. So I will end there and turn it over to Gayle. MS. SMITH: Hi, everybody. And I’ll be brief, I’ll just add a couple of things. I think a few things that are unique about this summit have to do with both the style and the frame. Ben laid out the sequence of events. The YALI Summit has been this week; we have the faith event tomorrow. Civil Society Forum, AGOA Ministerial, Business Forum and Conference — all these things will flow into the actual discussion on Wednesday, and we think set up a conversation that will be quite unique, including because the frame of this is about the next generation. So rather than an exclusive focus on the challenges or opportunities of today, the questions on the table in each of these three sessions are what do we need to be thinking about and doing now so that we are at a place in 10 or 15 years where the gains we’ve seen in Africa are consolidated, where the growth we are seeing is inclusive, and where some of the ongoing challenges are more systematically and strategically addressed. It will also be informal. There are an awful lot of summits that are comprised by a huge number of speeches and a great deal of formality. This summit will be one where there will be an active exchange of views, and this is something — again, it’s not the usual case. I think the Assistant Secretary described our consultation process. We have had a lot of positive feedback from leaders directly that they are looking forward to being able to have the opportunity to talk with the President and each other in a way that it is less rather than more formal. We’re focused on outcomes that are tangible. In other words, this is not the culmination of anything. This is a very big step in the long evolution of our Africa policy, but we do intend and will be coming out of this summit with some tangible outcomes that we’re going to want to move forward on together. If I can just flag a few things that I think may be of interest to many of you covering this that stand out I think in ways consistent with the kind of broad principles that Ben laid out. On the Monday when there will be a great focus on development, the changes we have seen in Africa on development are quite phenomenal — a real shift from a dependence on assistance to the investment of their own dollars. Some of the greatest gains we’ve seen on the planet in HIV and AIDS, maternal and child health, agricultural development are in Africa. Food security, which Ben mentioned — President Obama called for a worldwide food security initiative in February of 2009, very shortly after coming into office, at a time when worldwide investments in agricultural development were down very, very, very sharply and where the world was spending much more on relief than agricultural development. We were able to build those initiatives to Feed the Future and the New Alliance for Food Security and Nutrition based on what Africa has done. African leaders agreed some years ago to increase their investments in agriculture, that every country should have a plan. They have since, in the last couple of months, committed themselves to tripling agricultural trade, further reducing hunger. This is an area where we have been hugely successful but in large measure because we’ve got a huge number of leaders putting skin in the game. We’ve also seen that with Power Africa, which launched only a year ago, which has gotten enormous traction. We will have some things to say about how far that has come and where it is going. So those are just a couple of things on the Monday. On the Tuesday at the business forum, I think by virtue of the fact of who is in attendance, what kinds of things will be announced, and the general buzz around it, I think there is now a solid recognition that what we are talking about is a very fast-growing and dynamic emerging market where we have mutual interests in increasing U.S. investment. There will also be significantly there a number of prominent African CEOs. Among the business leaders in attendance, we will have a huge diversity of companies from very large and well-known companies to a lot of smaller companies. And, again, both American and international, but also significantly African corporate leaders. So I think — I would say we’ll leave it at that, Ben, and turn it back to you. We’ve spoken a lot and maybe take your questions. MR. RHODES: Yes, happy to take questions. Q Hi there, thanks so much for doing this call. I wanted to begin by asking you about the competition for U.S. investment in Africa. There is a lot of it. As you mentioned, because there is this recognition that it’s such a (inaudible) emerging market — competition from China, Malaysia, Turkey and Europe. And Ambassador Rice said this week that the engagement with the U.S. is different because the U.S. doesn’t see the continent as a place to extract resources but a place of boundless opportunities. What I hear from African leaders and people who work in Africa is that they already know that. And I would ask you what message will you deliver to show that the U.S. approach to Africa has truly turned a corner, that you do value them as this equal partner, and how are you showing that during a summit without using bilateral meetings? MR. RHODES: Thanks, Jessica. Let me just say a couple things. First of all, with respect to China, President Obama has made clear that we welcome other nations being invested in Africa, and, frankly, China can play a constructive role in areas like developing African infrastructure. At the same time, we do believe we bring something unique to the table. We are less focused on resources from Africa and more focused on deepening trade and investment relationships. And I think the way in which that will be demonstrated at the summit is if you look at the nature of our engagement — first of all, we are engaged across the U.S. government so that it is not simply the State Department, but the Commerce Department, the United States Trade Representative, OPEC and Ex-Im — all have very deep ties in Africa. All of those principals have made recent trips to Africa or had recent meetings with African leaders to discuss what the United States can do to increase our trade and investment footprint on the continent. Our businesses will be represented at the U.S.-Africa Business Forum — are pursuing a much broader engagement on the continent. And they are seeking to deepen their own investments in Africa in ways that will I think create a broader prosperity on the continent, because they are putting resources into African economies in ways that support development and job creation in Africa, but also create new markets for American goods. And so there will be specific commercial deals that can be discussed, but also the broader climate around trade and investment. And then there are some very specific things that we’re focused on. AGOA is one — as we seek a renewal of AGOA heading into next year. But also, we’ve sought to support the greater integration of trade within Africa. And it happens to be the case that in some cases it’s easier for African countries to export beyond Africa’s shores than to trade with their neighbors because of how their economies were set up. And so we’ve worked, for instance, with the East African community to facilitate greater trade across borders in East Africa so that you’re looking at issues like customs and you’re looking at ways for different countries to integrate their trade practices. That will be good for them because they can create more integrated economic arrangements, but it will also be good for us because that will then make it easier for us to harmonize our trade and investment across different parts of the African continent. So when you look at this agenda, it’s really about how do we use the remarkable growth in parts of Africa to go to the next level, so that investment is flowing into Africa, jobs are being created, new markets are being grown, there’s integration on the continent, and there’s deeper trade with the United States. And again, we, uniquely as a country in the global economy, bring all those different assets to bear — not just dollars, but business partnership, trade expertise, and an interconnection to the global economy. I don’t know, Gayle, if you want to add anything to that. MS. SMITH: I think just one example I would point to is Power Africa, because one of the challenges in Africa that we found in the energy sector and that our partners have talked to us about is you’ve got a huge number of potential projects, you’ve got a lot of capital that is looking for a place to invest, and how do you bring those two things together. Through Power Africa, what we have been able to do is provide a menu of things that can render those projects bankable. So we’re working with governments to improve their regulatory environment, or provide risk insurance to companies that want to go in but there is still a high perception of risk. So at the same time, we are bringing capital to investments in power and energy, including U.S. capital, but we’re also building the capacity of these countries to grow economies that are sustainable and deliver. And I think that’s one of the big shifts. We’re interested in the investment, but we’re also interested in building the capacity, even as we move more closely into this emerging market. Q Do you have a count now on how many countries will be participating in the official events? And for those countries whose Presidents cannot attend, what level of representation is allowed, I guess is the question –- vice president, ministerial — for the dinner and for the Wednesday session, Presidents at the State Department? MS. THOMAS-GREENFIELD: All 50 of the delegations that were invited are attending, not all at the level of the Presidents. Those in which Presidents are unable to attend for various reasons have designated either Vice Presidents or Prime Ministers, and in a few cases foreign ministers have accepted on their behalf and they will be allowed to participate in the summit deliberations. MR. RHODES: And I’d just add we also included the African Union. And the way in which we approach the summit is to view Africa in the way in which Africa views itself in terms of its political organization. In other words, we didn’t simply do a Sub-Saharan African summit. We invited all of Africa, with the exception of certain countries that are either not in good standing with the AU or are of particular concern to the United States, such as Zimbabwe and Sudan. Q Hi, I just want to ask this question specifically to the National Security Advisor. I heard you guys talk about peace and security, and then I also heard you guys talk about security within the African continent. Now, we have seen the development of al Qaeda in the Maghreb, and also the Tuareg rebels in Mali, and also the activities of Boko Haram in Nigeria. And mostly, these are terrorist groups that are working with networks like al Qaeda, and they are expanding and causing conflict in areas like Kenya, and al-Shabaab. Now, I want to ask, specifically when President Obama meets with these African leaders, part of the agenda — are you guys going to discuss new counterterrorism policies that would involve African countries networking and partnering with the United States? Because already small countries like The Gambia have been — I mean, in the international community, countries like Senegal have (inaudible) The Gambia when it comes to arms dealing with Iran and also — and unrest in the sub-region. So would this be part of the agenda of this (inaudible) peace and security not just in Africa but also the security of — the national security of the United States? I would like to ask your senior government officials about that. MR. RHODES: Sure. I’ll say a couple of things and see if my colleagues want to add to that. First of all, we are very focused on the threat of terrorism in Africa. We see it as particularly acute in the areas that you mentioned — North Africa, Somalia with al-Shabaab, and of course Boko Haram in Nigeria. Those aren’t the only areas, but those have been particular areas of focus. When the President at West Point announced a new focus on building a network of counterterrorism partners, he was very specific to say that this would come from South Asia to the Sahel. And we have pursued a $5 billion Counterterrorism Partnerships Fund, for instance, to support those efforts. And that includes, for instance, what the United States is doing to facilitate the French-led effort in Mali to push back against extremists who have sought to control portions of Mali. It certainly speaks to our cooperation with countries like Morocco and Algeria and other North African partners who share our counterterrorism challenge. And it very much speaks to the threat of al-Shabaab. And the President lifted that up as an example where we’ve had cooperation where the United States brings resources to bear to support AMISOM — has aimed to push back against al-Shabaab within Somalia, and to support the development of a government there. And we’ve had some — but at the same time, the United States also, frankly, does pursue its own counterterrorism operations as necessary to support that AMISOM-led effort and to push back against al-Shabaab. That’s the type of example that we want to build on, where you have regional partners bringing these resources to bear, with the support of the United States that can provide intelligence, it can provide certain unique capabilities that we can bring to bear, and it can also provide a political context where we’re not just dealing with the threat, but we’re also seeking to develop democratic institutions and development that can serve as a counterweight to terrorism — that that’s our long-term approach in a place like Somalia. And we certainly would want to work with countries like Kenya and Uganda to support counterterrorism efforts in the neighborhood. So I think this context will be a part of the peace and security discussion, just as we’ll also be discussing the issues related to peacekeeping and some of the challenges that you see in places like the Central African Republic. I’d just note — because you mentioned Nigeria — there are — we have been looking at ways that we can increase our cooperation with Nigeria. We have a team on the ground there that is supporting their efforts against Boko Haram and seeking to find the girls that were kidnapped earlier this year. But I don’t know if, Linda or Gayle, do you have anything you’d want to add to that? MS. THOMAS-GREENFIELD: I would just add that this was an issue that was brought to our attention by African leaders almost to a number that they are equally concerned about the rise in terrorism across the continent, that they see a nexus between activities in different regions, and that they want to build their capacity to respond, they want to be able to share information and cooperate with each other to address those issues. So we will spend quite a bit of time discussing those issues and looking at how we move together in the future to address terrorism. MS. SMITH: I’d just add one small thing to this in terms of some of what we’ve heard from the leaders in consultation. Terrorism obviously a big concern to them, but also a host of other transnational threats. And many of these come down to the same vulnerabilities in terms of security, borders, information, so on and so forth. So, in addition, the drug trade, trafficking, so on and so forth, are also on their minds. I think the only thing I would add in terms of how we might approach it is how do we think about this, again, systematically, strategically, and in a sustainable way, so we get back to that core issue of building their capacity and supporting their efforts to address these challenges on the ground. Q Hi, this is Marilyn Geewax. I’m just wondering — the big news, of course, this week has been about Ebola and Africa. And I just wondered if it will have any impact in any way that is — maybe some Presidents won’t be able to come or flights have some troubles getting in. Is there any impact at all from this story about Ebola? MS. THOMAS-GREENFIELD: You want to take that, Gayle? MS. SMITH: Let me take a first cut, Linda, and turn to you. Obviously, this has been a great concern. We have been engaged with and in the region in working on this issue since March, when the first cases appeared. Obviously, there has been a decline in a couple of countries so that there’s greater attention on it. We are closely engaged with the leaders and the governments of the three countries most affected. The Assistant Secretary may want to say more on that. We’re doing several things. One is ramping up our efforts to support a regional effort to deal with this outbreak and support, again, three governments who are doing a lot of things to contend with a real threat. Mind you, these are countries that have emerged — particularly Sierra Leone and Liberia — from years of war. And so this is an uphill challenge for them. We’re also taking the necessary steps domestically to protect the American people. We have no plans to change the agenda of the summit, but we will obviously adapt as needed and in consultation with our partners, depending on their requirements. And, Linda, let me turn to you if you’d like to add anything. MS. SMITH: Yes. I would just add I’ve been in conversation with all three heads of state in the region over the past two days to, one, confirm to them that we want to support their efforts and to commend them for their leadership and offer our condolences for the deaths of their citizens, but at the same time, to find out from them what additional assistance we might provide. We’ve provided a range of support and assistance to respond to the outbreak, we’ve provided personal protective equipment, essential supplies, public health messaging efforts, and a great deal of technical expertise. You may have heard CDC today describing some of the activities that we are providing. We did hear from both President Sirleaf and President Koroma that because of their involvement and engagement in the crisis in their countries, that they were reconsidering whether they should come to the summit. And while we would be terribly disappointed not to have them here, we also understand the importance of them being in their countries and showing leadership at this critical time. MR. RHODES: Sure, I can take that. On your first question, given the fact that we have nearly 50 leaders coming, frankly, we just wouldn’t be able to do bilats with everybody, and so the simplest thing is for the President to devote his time to engaging broadly with all the leaders. That way we’re not singling out individuals at the expense of the other leaders. So that way the President can commit his time to broad engagement. I will say that the President will have a chance to interact individually with each leader. That’s part of the purpose of having the dinner where he’ll be able to personally receive each leader attending the dinner. And so he will certainly speak with and interact with every leader who is coming here to the summit. And I think that speaks to his commitment to engage Africa. Keep in mind, too, that no U.S. President has ever done a summit like this with every African leader. I think that speaks to the deep respect he has for engaging Africa as an equal partner. Of course, he had the opportunity to meet bilaterally, for instance, with President Jonathan in the past. He will certainly be able to have bilateral meetings in the future with a range of important African leaders, including the President of Nigeria. On your second question, we will certainly — as we get the list finalized in terms of African attendees — that is the type of thing that will be available. We can’t provide it now. As Linda noted, of course, for instance, there have been changes in two of the countries affected by the Ebola virus, but as we get the list finalized we will be able to make that available for people. Q Thank you for doing the call. Let me try again as a variation of a previous question. Weren’t you disappointed, though, because a lot of leaders from North Africa decided to send lower representation to the summit? And how do you respond to many of them that they sort of insinuate that the focus, the U.S. focus is on the Sub-Saharan countries rather than North Africa? MR. RHODES: Well, I’d say a couple things. First of all, we made a conscious choice to integrate North Africa into the summit and not simply view it as an opportunity to engage Sub-Saharan Africa. We wanted to engage the entire continent. That — the African Union approach. And, of course, we’re including the African Union in the summit as well, which sends I think an important signal about the importance that we place on our relationship with the African Union as a key international and regional organization. With respect to the North African countries, we, frankly, have an opportunity to engage on a bilateral basis very regularly with a number of those countries. So, for instance, if you look at a country like Egypt, there is no shortage of U.S. time and attention and resources that are devoted to the U.S.-Egyptian relationship. Secretary Kerry, of course, was just in Egypt for several days. So we’re confident that we are able to work very closely across the board on the range of issues we have, for instance, with Egypt. And if you look at Morocco, for instance, the President was able to welcome the King here just recently. So we’ve had that head of state engagement. I would actually, frankly, note that we’re very pleased to have the opportunity to receive a Libyan delegation. In the context of the recent drawdown of our embassy operations, it’s important for us to find ways to be able to engage Libyan leaders and, in addition to our diplomats who are staying in the region in Malta, to continue to engage Libyan counterparts. The summit will be a good opportunity for us to continue our support for efforts to bring about an end to some of the violence that we’ve seen in recent days in Libya and to find out ways that the international community can invest in institutions that can be more durable for the Libyan people going forward. So we’ll have that opportunity to engage those who attend from North Africa even as we have an agenda here that is very much focused on the continent and focused on our development initiatives and focused on our investments across all of Africa. So, again, we have an agenda that is not limited in focus to some of the issues that the United States works on a very regular basis with North Africa, but we do see North Africa as a key part of our broader approach to the continent. Q On the issue of security, I was just wondering, since Africa, kind of a hotspot for more of a — continent — some parts of a continent is a hotspot for various persons who are trying to become a terrorist or breed terrorism, what countries on the continent are you looking to foster some kind of, what do you call it — I just forgot the word — what is it when you send the person back? That you’re asking to send the terrorist back? I just forgot — I just lost — but you know what I’m talking about. When a criminal is extradited — I’m sorry, you’re trying to extradite the person. MR. RHODES: I see. Well, thanks, April. It’s always good to hear your voice, and we appreciate your focus on these African issues and certainly your engagement with the President on the recent trip he made to Africa. Look, we are concerned about efforts by terrorist groups to gain a foothold in Africa. I think what we’ve seen is, in addition to groups like al-Shabaab that gain a foothold in a place like Somalia, we see international terrorist networks sometimes seek to take advantage of ungoverned spaces so that they can get a safe haven. And so that’s what we saw in Mali where some extremist groups, including those affiliated with al Qaeda, took advantage of an ongoing conflict between the government and the Tuaregs to gain territory and hold it. And what we’re doing is several things. On the specific question you ask about are we concerned about people traveling to Africa, out focus there has been, for instance, on dissuading those in, for instance, the Somali-American community from being recruited from overseas by al-Shabaab. And I have nothing but admiration for the extraordinary work that’s been done by the diaspora, including the Somali-American community, in rejecting some of the extremist propaganda that we see online and distributed in communities here. And so we work to forge community-based solutions with the diaspora to prevent the young people from being corrupted and recruited from abroad by a group like al-Shabaab. So that’s one instance in which we are working not just to deal with the threat of terrorism in Africa, but to ensure that there’s not an effort to reach into the United States and our diaspora communities who are very much a part of the solution to these challenges. On extradition, that has not been a — I wouldn’t term that as a focal point beyond the Gitmo piece. So if that’s — to take that as a specific jumping-off point, we have transferred some detainees to North African countries, for instance. Algeria, for instance, recently received some detainees who had been cleared for transfer. I believe there are other cases where — like Sudan, where individuals that served their time and have been released. When we transfer detainees from Gitmo to any country, we do a review to assure that our national security interests can be protected in the context of that transfer. We consult with the government that is going to be receiving those individuals. So that would certainly be the case in a situation like Algeria. But that’s a very narrow part of our counterterrorism agenda. The bigger part of our agenda is to work with African countries to build their counterterrorism capabilities, to find where the United States may have unique capacity not just to conduct counterterrorism operations, but to facilitate international and regional counterterrorism activities. And so in France, with Mali, for instance, we can help facilitate French efforts with some of our intelligence and some of our logistical support. We’ve similarly worked closely with AMISOM and Somalia to strengthen their capabilities. But then we’re looking at how do we get at the broader issue of countering violent extremism in Africa so that these groups, like Boko Haram, like al-Shabaab, like al-Qaeda, are not able to prey on young people with disinformation and intimidation; that we’re getting information out with African partners that puts forward a better vision of the future. And I think nothing puts that on greater display than the types of young leaders that we’ve been engaged with through our Young African Leaders Initiative, who frankly represent the much more (inaudible) future available to young people across Africa. So it’s a multi-dimensional approach, but it’s one that’s focused on building African capacity and supporting it with unique American capabilities. I think we’ve got time for one more question. Q Hi there, thanks for briefing. I’ve got two questions. First one is on who is coming and who is not coming. What is the actual diplomatic process by which certain heads of state don’t get invited or don’t show? I’m thinking about Mugabe and al-Bashir. And if some are excluded, how come Uhuru Kenyatta — the ICC and (inaudible) is coming? Second question — internal African crises. Are you expecting or hoping to see any kind of political process on some of the worst issues facing the continent? I’m thinking South Sudan, CAR, Somalia, or Congo. Thanks. MR. RHODES: So on your first question, we were guided by, in part, how the African Union approaches its relations with member states. But then again, we also have individual countries that we have unique challenges with, too. So just to take a few examples, the Central African Republic is currently suspended from the African Union, so that falls into the category of a country that we made a decision based on the determination of their current association with the African Union. If you look at Sudan, given not just the ICC case, which is of course of deep concern, but the pattern of behavior out of President Bashir and the way in which the United States has approached those issues, including — well, including the ICC piece, we did not feel it appropriate to invite President Bashir. MS. THOMAS-GREENFIELD: And then I would just add to that the lack of cooperation with the ICC. MR. RHODES: Yes, absolutely. And then Zimbabwe — President Mugabe, the specially designated national — he’s subject to U.S. sanctions given what he has done to undermine democratic processes and institutions in Zimbabwe. And so given our grave concern and our sanctions, we did not see it appropriate to invite President Mugabe. So these are individual leaders who are either not in good standing with the AU or are specifically designated for U.S. sanctions who would not be invited. Now, President Kenyatta, of course we’ve expressed some concerns around the ICC. Kenya has a process by which they’re working to address those concerns, and we’ve been supportive of those efforts. And we also have obviously a very deep and significant relationship with Kenya on not just security issues but on issues associated with trade and development. And they have been a key regional partner, so they will be a part of these discussions. But Gayle or Linda may want to address both those questions. MS. THOMAS-GREENFIELD: I think you covered it all. MS. SMITH: And just the one thing I would add on your second question — yes, we think the summit will provide a number of opportunities to work on some of the cases of chronic conflict or some of the challenges on the continent. We’ll be able to speak to some of those as the week unfolds next week, but certainly on issues like South Sudan, we seize every opportunity; we’ve got to try to move the ball forward. We’ll be doing so next week as well. MR. RHODES: Let me just mention, just because you asked specifically, the five countries not invited — I mentioned CAR, Sudan, and Zimbabwe — or the five leaders not invited. Eritrea was not invited. The U.N. continues to sanction Eritrea for its efforts to destabilize Somalia, but also Eritrea has not accepted diplomatic relations with the United States, rejecting our offer of an ambassador. Some people have also asked about Western Sahara; the United States and the U.N. do not recognize the Western Sahara as a country. So CAR, Eritrea, Sudan, Zimbabwe, and then the unique case of Western Sahara — those are the — those leaders not attending. Well, thanks, everybody, for getting on the call. I think we’ll wrap it up there. And we’ll be able to be in touch on these issues going forward. MS. MEEHAN: Thanks, everyone, and just a reminder that this call was on the record. Thanks very much.